Home » Competitions » Win tickets to the Cape Town color run! 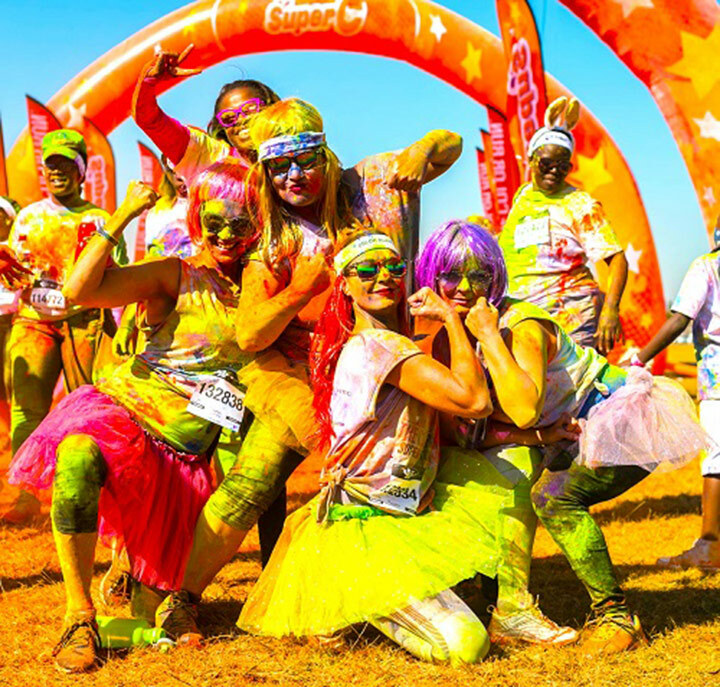 Win tickets to the Cape Town color run! Join thousands of fellow superheroes as they come together this September to celebrate happiness, healthiness, individuality, and community in the most colourful way imaginable. The Color Run knew they were out there – but didn’t expect them to be so magnificent! Superheroes are around us every day, and The Color Run’s 2017 Superhero Tour is “unleashing everyone’s inner hero,” says national event co-ordinator, Trevor Latimer. So, what is it? The Color Run is known world-wide as The Happiest 5K on the Planet. It’s an untimed 5km fun-run, and The Color Run has kept the rules to a minimum – because who likes rules? Tickets are available online from The Color Run website (http://thecolorrun.co.za/tickets/) and Facebook (www.facebook.com/TheColorRunSouthAfrica). Individual ticket prices are R270 and R245 for groups of four or more. Tickets bought on the day cost R300. DON’T FORGET: Mini-superheroes under the age of 10 run free of charge. WIN! We’re giving away 10 double tickets to the Cape Town Color Run! To enter, simply complete the entry form below. Terms and conditions apply. Competition ends 12 November 2017. Please note that these tickets are only available for the Cape Town leg of the race!